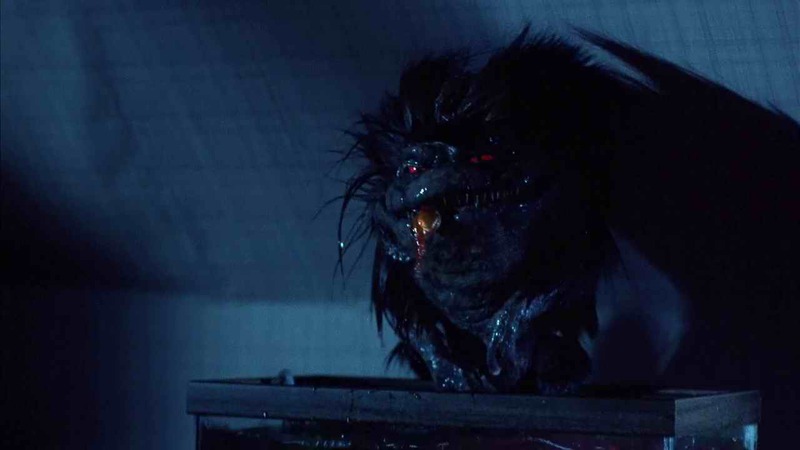 Critters can best be described as a horror, comedy, science fiction film that has garnered something of a cult following over the decades since its release in 1986. Although widely believed to have been inspired by the success of the 1984 film Gremlins, Critters writer/director Stephen Herek has refuted this in interviews. Herek points out that the script was written by co-writer Dominic Muir long before Gremlins went into production and subsequently underwent rewrites to reduce the apparent similarities between the two films. 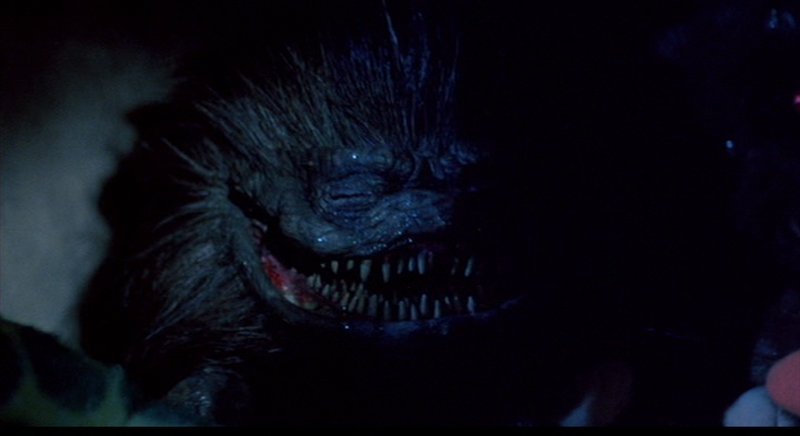 On a personal note, Critters falls into the category of 80s horror movies that I watched when I was younger and I remember it quite fondly. It’s been a good few years since I last saw it so let’s see how well it holds up. The film begins on a prison asteroid in outer space. A group of unseen creatures known as Crites are set to be transported to another station. When the seemingly intelligent creatures cause an explosion that kills two guards and injures three, hijack a ship away from the station, and escape, the leader of the station hires two faceless bounty hunters to hunt the “Critters” down. 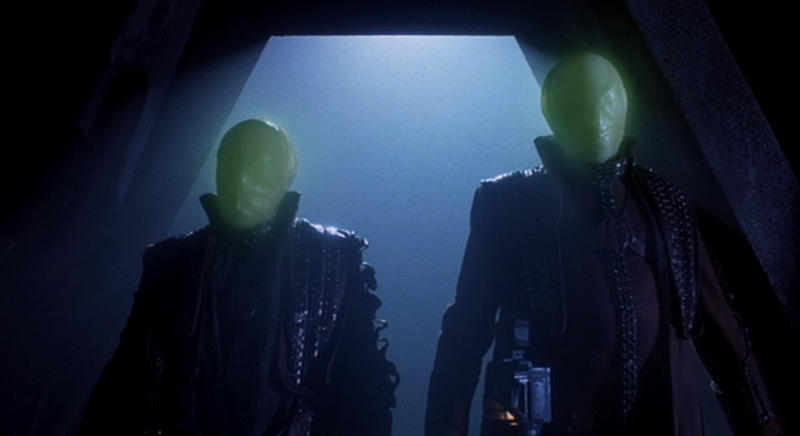 When I say “faceless bounty hunters” I literally mean that they have no facial features of any kind, just skin covered heads that appear to glow at times. We get to see the bounty hunters preparing to follow the critters after discovering that they’re headed for Earth, one of them uses a computer to quickly learn information about Earth, its inhabitants and historical events. 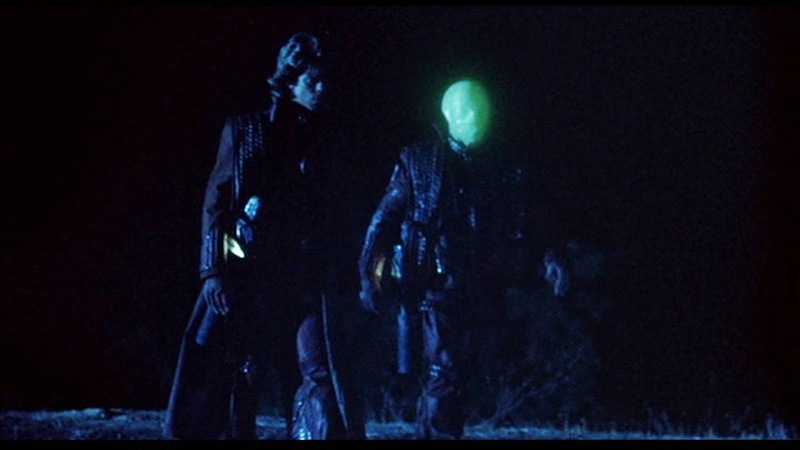 The bounty hunter stops on a music video by a fictional rock star named Johnny Steele and begins to transform and take the face of the rock star. 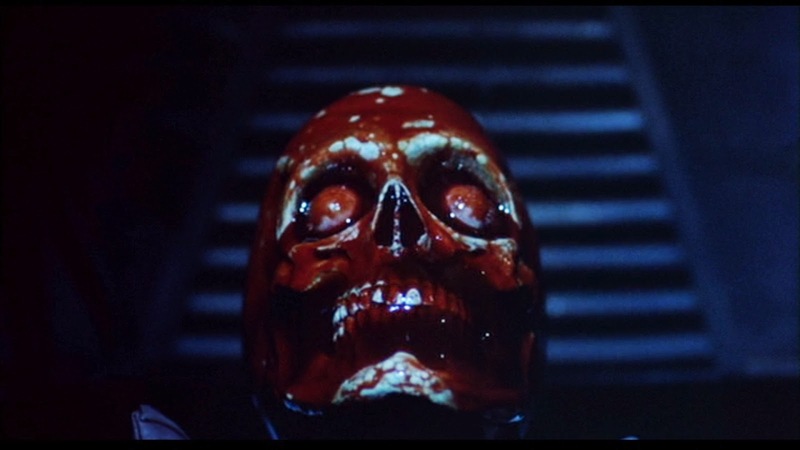 I mention this scene because the practical effects used during the transformation are seriously awesome and quite gory. 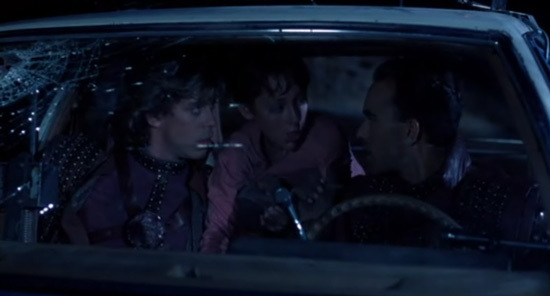 Another interesting thing to note is that the song that Johnny Steele sings throughout the film called “Power Of The Night” is rumoured to have been created in a hope to capitalize on the popularity of the hit song “Power Of Love” from Back To The Future (1985). I don’t really mind either way because it’s actually a pretty damn catchy song! Meanwhile, we are introduced to the Brown family who live on a farm in a secluded rural Kansas town. We have the stereotypical father Jay, the stereotypical mother Helen, the stereotypical teenage daughter April and our main character who just so happens to be the stereotypical trouble making/prankster son Brad. Brad always gets into trouble because he hangs out with Charlie McFadden who’s kind of on the slow side and has a serious drinking problem. One of Brad’s hobbies is making what he calls “fireworks” but what everyone else would call bombs or explosives, seriously these things are lethal. After covering for Charlie during an incident involving a slingshot, Brad is grounded but sneaks out of his room onto an outside tree just in time to see what appears to be a meteorite streak across the sky and crash in the distance. The town unwittingly greet the meteorite, that later gives way to a host of nasty, furry little creatures with big teeth! Walking outside to investigate, Jay discovers Brad in a tree, who says he was thrown clear out of his window by the earthquake. Jay, obviously not believing this, takes his son along with him to find the comet. At the landing site we get our first real look at the Critters as they survey the damage and set out for food. After killing the Sheriff’s deputy the Critters make their way toward the farm and manage to cut the power. Jay, Helen and Brad go to the circuit breaker where Jay is attacked by one of the Critters after believing it to be the family cat. Meanwhile out in the barn, April is making out with her boyfriend Steve (Billy Zane) when one of the Critters attacks them and kills Steve by literally eating his stomach, it’s quite brutal. Luckily for April her brother Brad saves her by feeding a lit firecracker or dynamite to the Critter, killing it. After struggling to make it back into the house the family finally do so and do their best to barricade themselves in an upstairs room. We also get to see an alternative way that the critters can attack in which they lean forward and fire a sharp, sleep inducing needle into a victims neck, knocking them unconscious. At this time there is a very entertaining montage of the Critters destroying the house and eating just about anything including the head off of an E.T toy. While this is going on the bounty hunters, who have finally arrived to Earth are going all around town asking just about everyone they see if they have seen the Crites or just simply stating that they want the Crites, it’s very entertaining and highly amusing. Not only that but one of the bounty hunters can’t seem to decide which face fits it the best so it continuously transforms, all the way from the dead deputy, a priest and eventually settling on Charlie whose doing his best to keep up with them. Still stuck in the upstairs room, the Browns are not doing too great as Helen is just recovering after being hit with one of the Critters needles and Jay is heavily bleeding from several bites after coming into direct contact with a Critter. Unfortunately for the Brown’s The Critters are highly resourceful and start to make a dent in their barricade, not only that but it turns out that they grow larger the more they eat and there is a huge Critter rolling around now. With not much time to spare, Brad volunteers to make a run for help and eventually manages to hunt down what he thinks are the police but actually turn out to be Johnny Steele and Charlie or the bounty hunters; his initial interaction with them is hilarious. It’s now a race against time for them to make it back to the farm in time to save Brad’s family from the fur balls from hell. Elsewhere, the Sheriff Marv had been investigating incidents involving the bounty hunters and the chaos that they’ve caused around town with their huge guns that can best be described as cannon guns when he hears a report of gun shots being fired at the Brown’s farm. Can either the Sheriff or the bounty hunters get to the farm in time to save the family or will they go the way of E.T, I highly recommend you watch Critters to find out. Critters is a highly entertaining 80s horror/comedy that holds up surprisingly well considering its small budget. 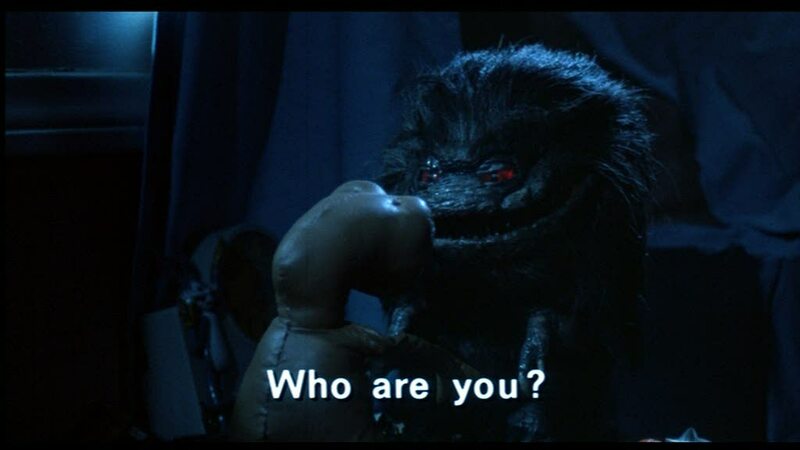 The Critters themselves are a very interesting and unique design of creature that can’t really be compared to anything else but Gremlins of course. They’re hilarious little creations – thick black hair and a mouth full of teeth, but in their own way they’re also fairly frightening! 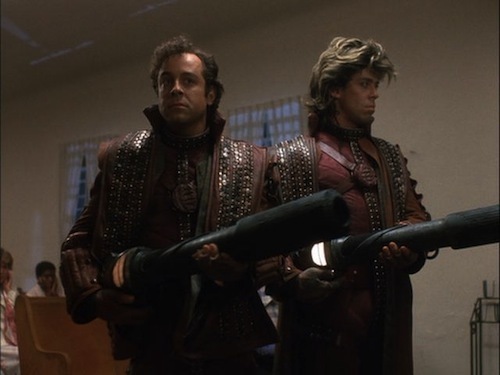 The Bounty hunters are probably my favourite thing about the movie because all they really care about is collecting a pay check for finding and killing the Crites and they don’t care who or what gets in their way which leads to some highly amusing moments and one liners. There isn’t anything to complain about when it comes to the acting either as just about everyone from the major characters to minor ones does a good job. The soundtrack is perfect and does really well to give the movie that 80s horror feel and atmosphere. There are few things that I can recall finding kind of dumb while watching Critters and one of them is how indestructible Jay (the father) is. The man is attacked directly by the Critters and comes away with more than a couple of chunks taken out of him, leaving him bleeding heavily. Helen (the mother) does patch him up very amateurishly with some bandages but it’s clear that he’s still bleeding through them and regardless of this he manages to survive several hours and is still able to lift a double barrel shotgun. 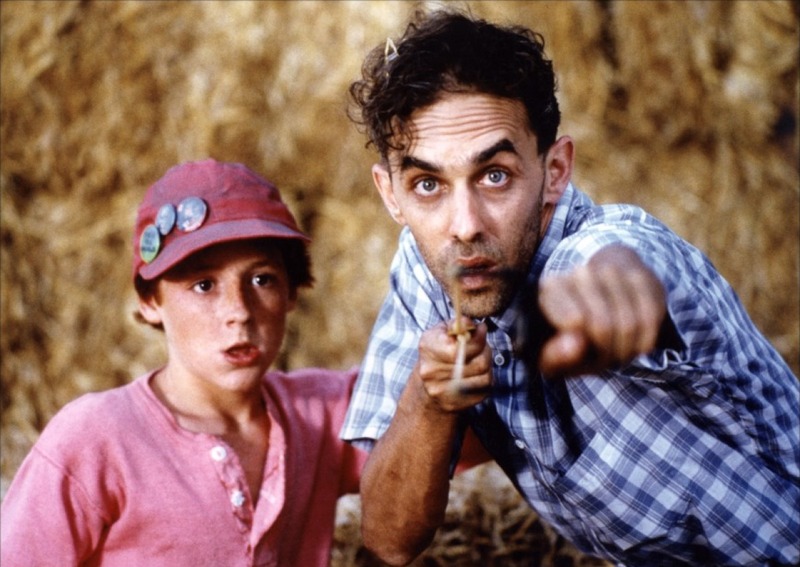 Another thing that has to be mentioned is April’s boyfriend Steve who dies in front of her eyes quite horrifically leaving her initially very upset only to never mention his name or the fact that his corpse or parts of it is probably still rotting in the barn for the duration of the film. Also, the family manages to kill around 3 or 4 of the 9 Critters and I don’t know I just kind of felt that the ways in which they kill them made the Critters look like they wouldn’t be too tough to deal with if you had a few guns. Critters is a cheesy, fun 80s horror/comedy that’s definitely worth watching if you enjoy 80s horror movies, it takes advantage of some of the ideas that we’ve seen in other movie franchises but that’s not really a bad thing in this case because the spin they put on things actually turns out to be really quite great.